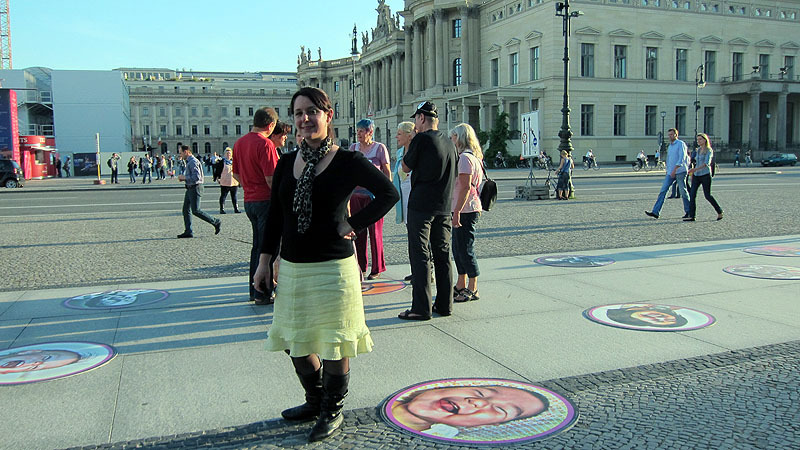 CURATORIAL PROJECTS ON ART AND HEALTH, HOUSE OF WORLD CULTURES + VARIOUS CITY LOCATIONS, BERLIN. 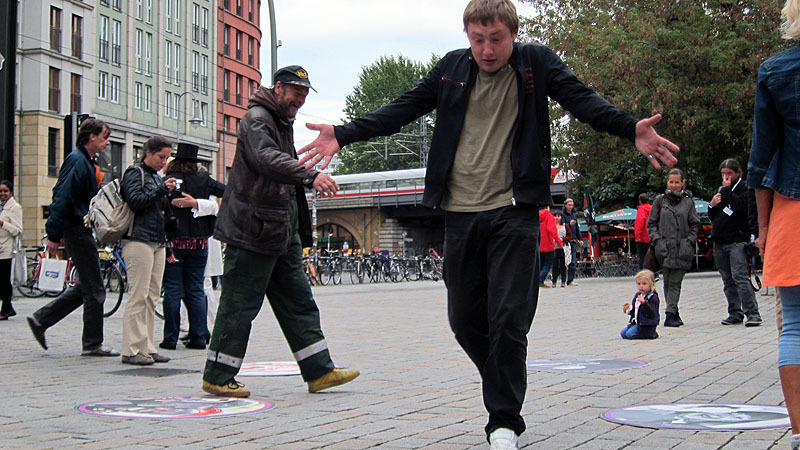 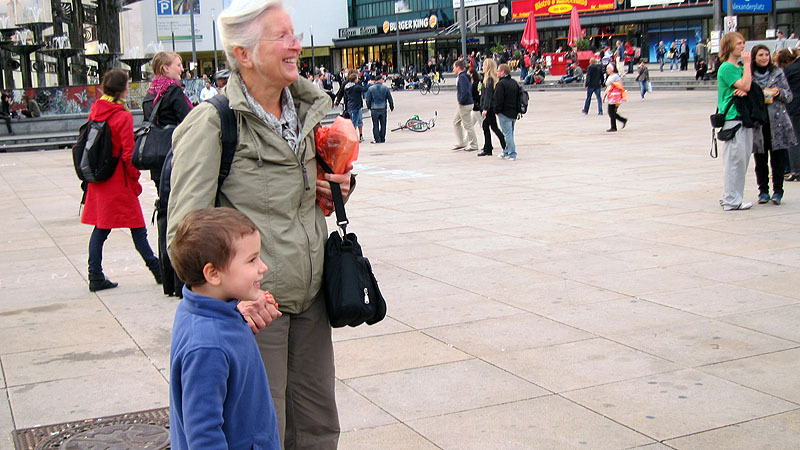 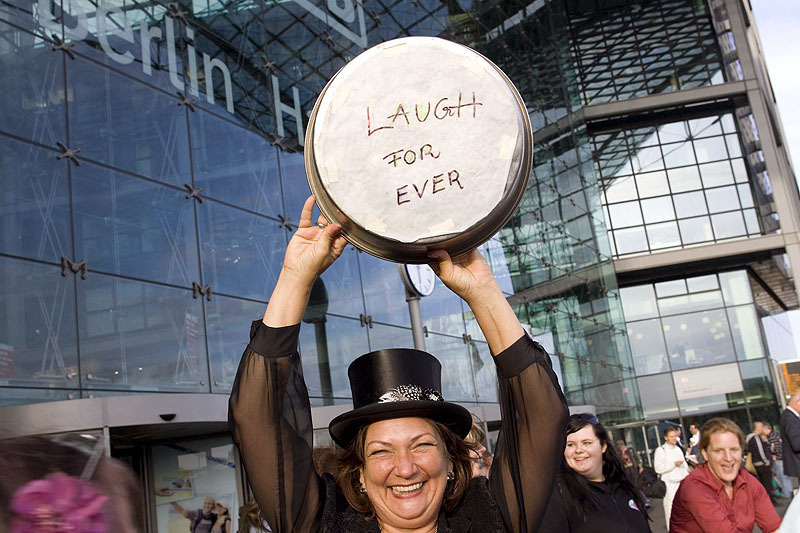 The Berlin Laughter project was a temporary public art work which aimed to interrupt the ordinariness and tension of city life and to inject a sense of joy and optimism in people’s everyday lives as they journeyed through the city/urban environments. 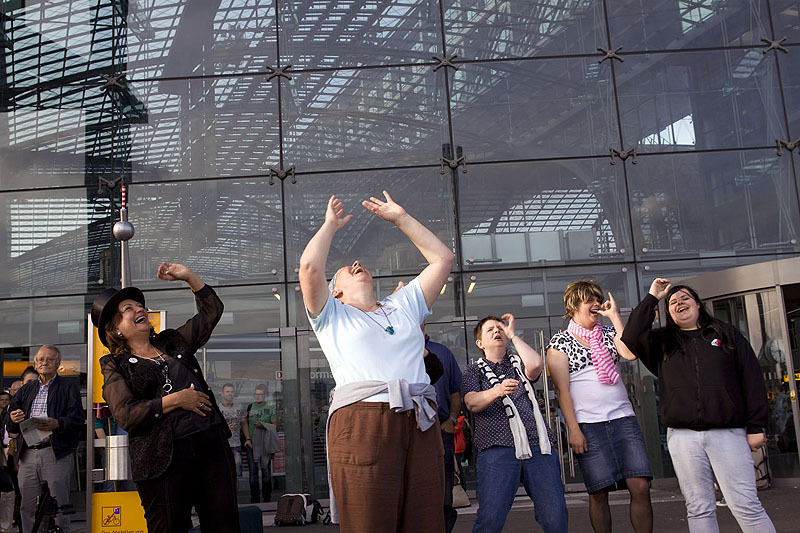 The project featured as part of a major international curatorial art event on health and diversity in Berlin in September 2011. 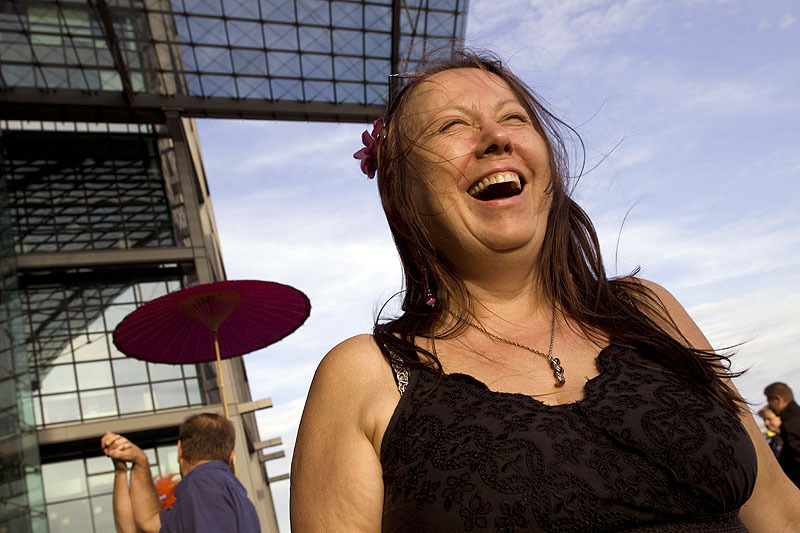 The project explored and celebrated the transformative effect of laughter as a free form of health and therapy. 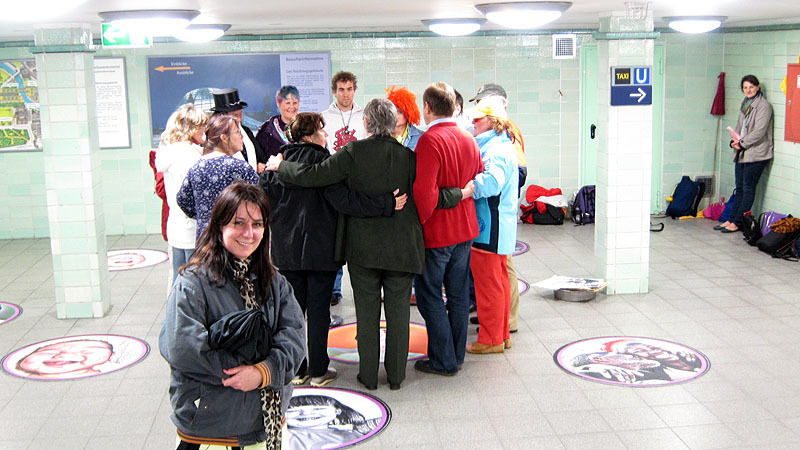 It involved video work (babies and various people laughing) on the public transport network (trains), short interactive performances in key sites and a series of logos/ laughter circles which marked out space in the regular pathways through streets and subways. 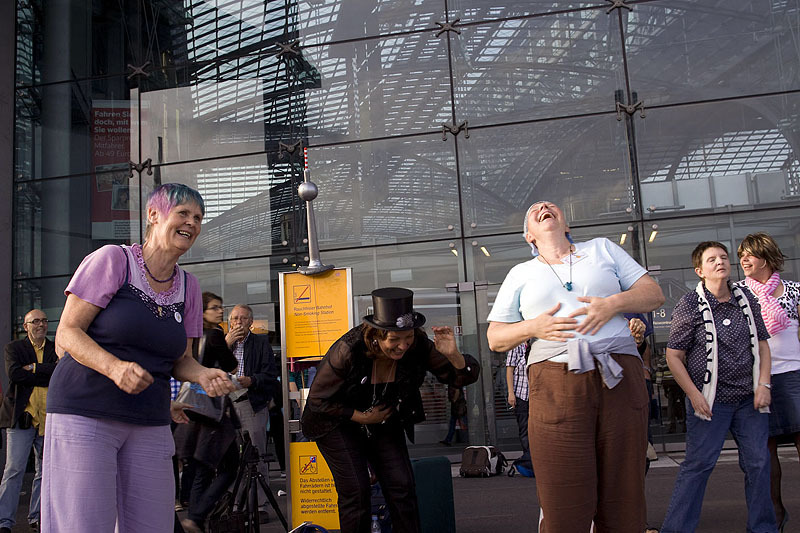 This project was highly interactive and engaged people, creating a greater sense of happiness and well being.